Smartphones are everywhere these days. Don’t believe me? Look around you. How many are using their smartphones right now? How many have smartphones on their desks or in their pockets or purses? You may even be reading this article on a smartphone. The truth is that 77% of Americans own smartphones and that is too big of a percentage for drivers not to fall into. So what are the numbers when it comes to driver smartphone usage? An obvious conclusion to come to after looking at the statistics above is that your recruiting needs to be mobile-friendly. But these numbers suggest something greater. Perhaps your recruiting would be more effective if it catered to smartphones more than any other device. As seen above, more than half of the driver population checks the internet on smartphones. This means drivers access the digital platforms you are using for your recruiting on mobile devices. The trucking industry’s aging workforce is no secret. The average age of a truck driver is in the fifties. Which means the majority of your workforce is close to retirement age. This brings up the necessity to glean drivers from a younger audience. And if you want the attention of younger drivers, you have to tap into what their age groups are interested in. This includes smartphones. Over 90% of U.S. adults ages 30-49 and 94% aged 18-29 own smartphones. So to reach a younger driver audience, you have to cater to the device they use most. With so many drivers on mobile, it may be safe to assume that a driver’s interaction with your recruiting begins on mobile even if it shifts to another device. You want to make a driver’s experience as frictionless as possible to keep the driver engaged all the way to becoming a hire. Tailoring your recruiting to the most prevalent device drivers are using creates a smooth process for the driver. This is where mobile-friendliness needs to begin in your recruiting process. The first ad for your fleet that appears on a driver’s mobile screen needs to fit on the screen. It may seem simple but it is the first indicator to a driver that their experience with your recruiting will either be simple or inconvenient. So go through your digital recruiting process on a smartphone and ask yourself, how much information do you see with each scroll or swipe? Can you easily find a call-to-action? Is each screenshot far too cluttered to choose a focal point? Can you find your call button? Do you use a call button? Consider using a simple layout drivers can easily and quickly steer through and use straightforward call-to-actions like “Call Now” or “Get More Info”. The simpler and more straightforward the process, the more likely you are to get a lead. Reduce the amount of typing a driver has to do or clicks by using functions like autopopulate (which prevents a driver from having to enter the same information over and over) and drop down menus. Make sure your application asks essential questions only. For example, there is no need to ask for city, state, and zip code when filling in zip code alone tells you the city and state. Let drivers know where they are in the application process with the use of a status bar. Feeling like the application will last forever can turn a driver away. Give a driver the option to save and return later. If the application is too long for an interested driver to fill in one sitting, make sure there is a save function that allows a driver to retrieve the incomplete application at a more convenient time. A good way to get a driver to reconnect is to have an automated text send them a link to the incomplete application. Once a driver becomes a lead, it is important to contact that lead as soon as possible. You may have heard of the research on how a warm lead goes cold only 5 minutes after that lead has been generated. Contacting leads immediately is not always in your recruiter’s control especially if those leads are generated outside of work hours or while your recruiters are on the phone with other leads. This is where autoresponders come into play. Randall-Reilly’s Smart Rhino Labs created an autoresponder called LeadConnect that automatically sends a driver a text as a precursor to an automated call. The automated call ensures the driver is on the phone before connecting to your recruiters or to an agent from Smart Rhino Labs. With this type of autoresponder, you cut down on lost leads while keeping drivers engaged on their mobile devices. The era when mobile-friendliness was simply an option to consider adding to your recruiting is over. It is becoming safe to assume that for a driver, the primary viewing option for your recruiting efforts is a smartphone. 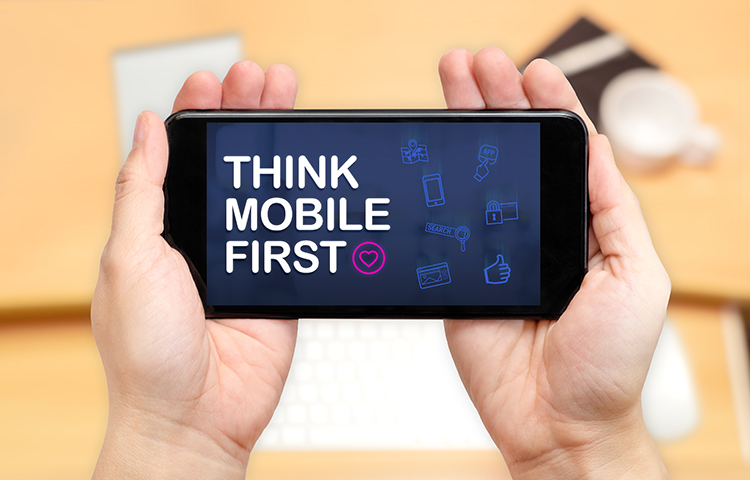 This creates the necessity for you to think mobile-first.